In the medical community, board certification serves as the best measure of physician excellence. The content, data, and interactions that support decades of different radiological certifications and specialities are mind-boggling. The ABR challenged us to create an experience in which candidates, diplomates, and other segments understood what they needed to do to get and stay certified. The audience is sophisticated and detail-oriented, but some of our big 'aha's from usability testing were simple. 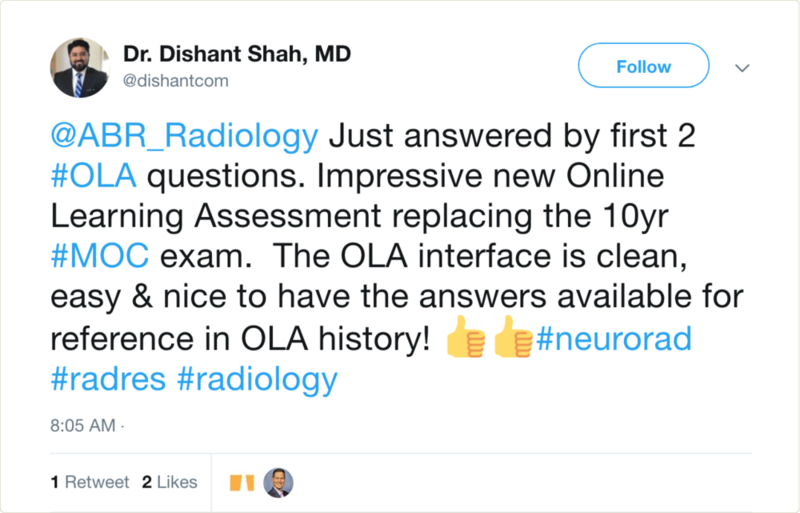 For example, we learned that many radiologists prefer to review scans in dim lighting, so a light UI in the certification interface was jarring. Another takeaway from the project was the complexity of managing lifetime and time-limited certifications across a dizzying combination of specialties and subspecialties. The ABR’s bright, experienced team was on helpful and reminded us of the many possible use cases we’d need to consider for each part of the experience. "The people are great to work with! They quickly learned about our organization and have listened to our needs. The process has been so easy with them." We've received positive feedback both from internal and external users about the new look and improved functionality. The project's value is perhaps best quantified by the brand benefits & opportunity cost. By designing an easy-to-use experience, the board was able to show that it cares. And now, there's the time that they're not spending supporting confused diplomates. The ABR intends to continue partnering with Slide UX for future UX and UI needs. Designing for such a high-stakes circumstance was quite a responsibility. 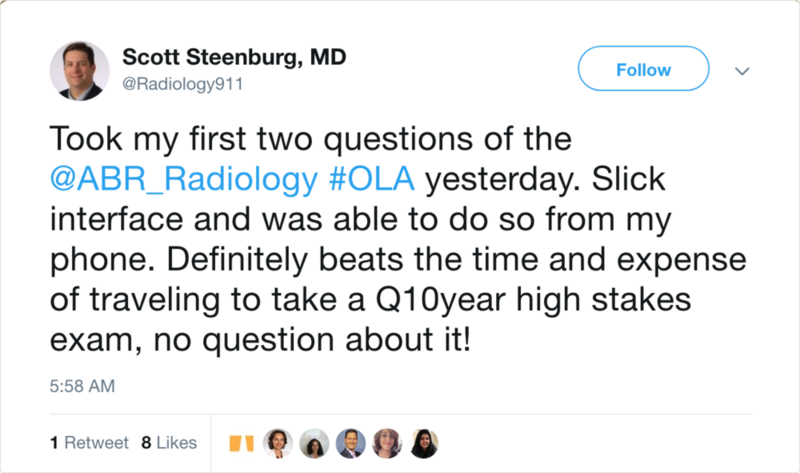 We’ve appreciated radiologists’ commentary on social media. In an interview with Clutch.co, The American Board of Radiology rated Slide UX 5-stars across the board. "We were all blown away with how quickly Slide UX understood what we were trying to do and the different ins and outs of everything that we have to communicate through our website."